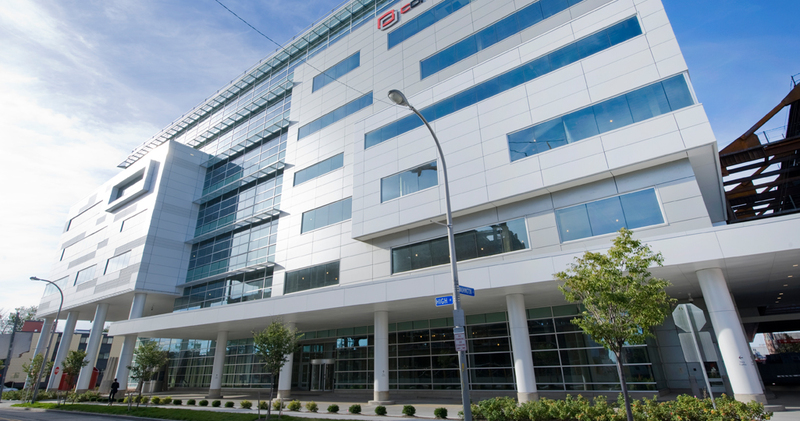 Located at 1001 Main Street at the northern entrance to the Buffalo Niagara Medical Campus (BNMC), Conventus is more than a building, it is a center for collaborative medicine. Conventus, Latin for "coming together," is a blend of sophisticated design and functional amenities -- a gateway for connecting and collaborating and a cornerstone for development on the BNMC in Buffalo, New York. Ciminelli Real Estate Corporation has completed construction at 1001 Main Street in Buffalo, NY, a 2+ acre parcel, adjacent to the sites for the new John R. Oishei Children's Hospital of Buffalo and the University at Buffalo School of Medicine and Biomedical Sciences. 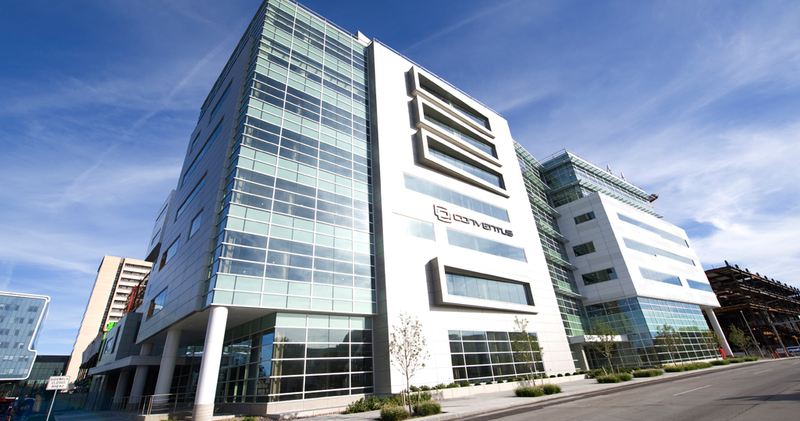 Conventus has "coatless connections" to those facilities, bringing clinical, educational and research components together in a synergistic environment and taking important steps to put our tenants, the City of Buffalo, and the BNMC in a leadership position in the medical community regionally. The building is also near the NFTA Metro Rail System, culturally rich neighborhoods, established retail and public services, and from its location at Main and High Streets, overlooks the emerging BNMC. 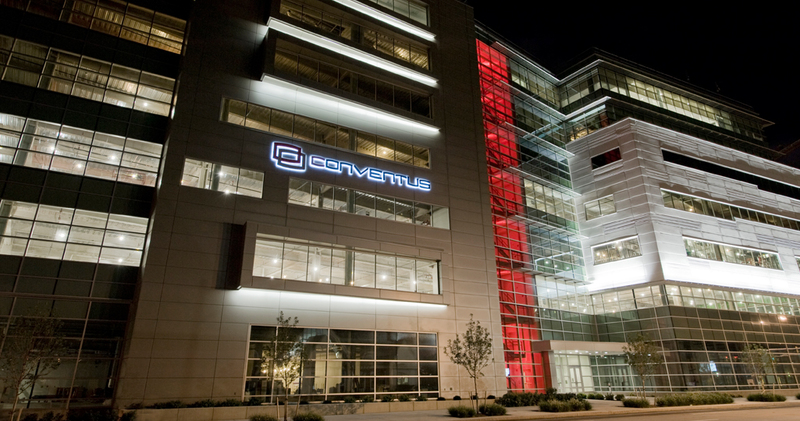 Conventus has earned the prestigious designation of LEED Platinum for Core and Shell from the United States Green Building Council. 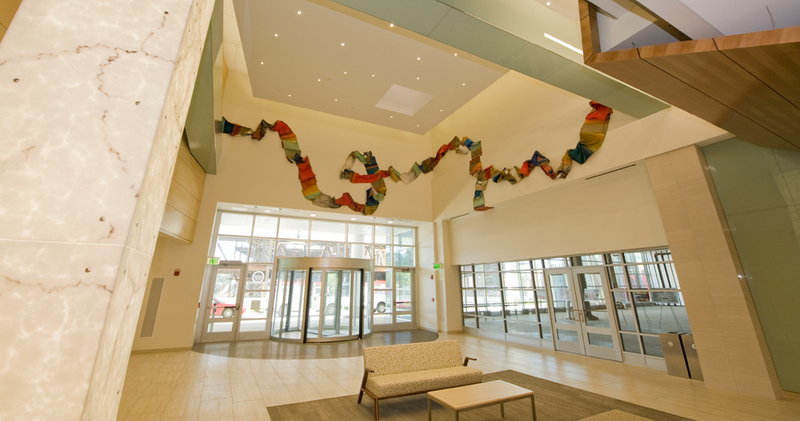 Our design and construction team for Conventus consisted of Kideney Architects, Siracuse Engineers, M/E Engineering, C&S Companies, and LPCiminelli.